Don’t Vacation like a Tourist, Blend in Like a Local, To do that you first need to, get out of Waikiki. Oahu Travel Tips on where to stay, what to eat and things to do. Most of the hotels are downtown Waikiki, so unless your going to rent a house, this is where you will stay. This site is for any one who wants to get the most out of their vacation to Oahu and is looking for some inside advice we call, Oahu travel tips. I do recommend you rent a house or condo and get out of the tourist traps and away from the crowds. 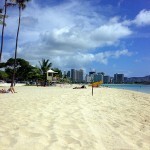 Hawaiian Beach Rentals offers a variety of vacation rental options in Oahu for any budget and style of vacation. You don’t have to spend a fortune to have a good time. If your best friend lived on the island, where would they take you? Think of me as that friend. What kind of beach do you want to see, what kind of food do you want to eat, and most importantly what do you want to get out of your vacation.